The moment I heard about products that contained Bee Venom, I knew I had to get my hands on some. When I found out that this Nelson Honey Royal Nectar was the Bee Venom of choice for Kate Middleton, Camilla and various celebrities, I knew this was the one I needed to try. I've been so impressed by these two products that I'm calling them my find of 2012! They are 100% natural and are made right here in New Zealand, down in Nelson (where the best bees come from, I've been told). The Bee Venom is harvested using perfectly safe methods so the bee doesn't die (it doesn't release its barb, only the venom). You can read more about it here if you're interested. The Bee Venom is then blended with Manuka Honey, which we all know has amazing anti-bacterial, soothing and healing properties on the skin. This blend is called 'Nectar Ease' and has the ability to work wonders on your skin. It isn't called the natural alternative to Botox for nothing! The Bee Venom stimulates your facial muscles to tighten and firm the skin, which can reduce frown and laughter lines and give your skin a more youthful appearance. It's been said to boost collagen in the skin and act as a barrier to environmental aggresors also. I found these products to be very effective on my forehead in particular, smoothing it noticeably. I use both of these products in conjunction with one another, as I've read they work best that way. I choose to use the Face Lift in the morning as the Face Mask contains a special ingredient which I like to use at night (more on that soon). Not to mention the all-important Nectar Ease Bee Venom blend and other oils and extracts, this formula was made to make a difference to your skin. I haven't had one dry spot since using it, nor has it felt overwhelmed with oil either. You get provided with a little spatula to scoop out a small amount of product with. I love that I don't need to put my fingers in there (although I always use clean hands, you still don't know what bacteria remain on them). I use about a pea sized amount and that is enough for my face and usually my neck and decolletage too. The Original Face Mask is made to be used two ways. I use it sparingly every night and leave it on, but because it's actually a mask you could use a thicker layer and leave it on for 20 minutes and then wash it off. Both ways are fine and are indicated in the enclosed leaflet. You are provided with a spatula with this product too. The reason I use this one at night is that it contains an ingredient called Easyliance, which is another blend of natural origin that instantly tightens the skin. I find that leaving it on overnight works better on my skin and is probably why I've noticed such a change in the look and texture of my skin. I would recommend patch testing on your inner arm before using, but I've had absolutely no adverse reaction to these products, despite being very stimulating. You may find that it is a tiny bit tingly on the skin, but I've never noticed anything. What you will achieve is a smoother, younger looking skin that is perfectly moisturised. 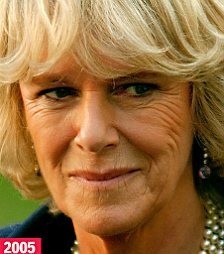 No wonder all the royals and celebs are into it! 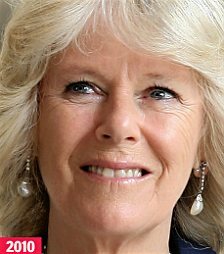 And here we were thinking that Camilla had nipped off for a quick facelift before her wedding to Prince Charles. Well now we all know her secret. I really like the boxes that these products come in, especially with a lift off lid as opposed to just a conventional box. I also think that although the jars are practical and are made of glass, a little more attention could be paid to how 'pretty' they are. I'm all about the prettiness! If you want to learn more about these products or purchase them, you can go to the Nelson Honey website here. The application bravesites.com/ does not permit its individuals to take screenshots Know More of somebody's story but did a modification of that Guide to Download Snapchat Android App, APK, iOS and started offering notices for all Snapchat Download screenshot activities as well as by Snapchat App which. Kodi holds a substantial capability to find to be media Kodi Download App entertainment center for future creative residence. official source This app qualified to attach all gizmos along with permits them to stream from one device to another.With Kodi, Kodi you might transform your android right into banner. Un superbe briquet doit être capable de s'attaquer à un bureau de cigares asics gel lyte concepts qui ne fument aucun dilemme. Au début, les arômes, la relaxation et la camaraderie vous ont attiré et vous avez acquis un certain nombre de bâtons. Ils sont également en train de développer des maillots pour vos Jeux olympiques qui sont fabriqués en dehors de la bouteille d'eau en plastique recyclé! Maintenant, comment ils se sont retrouvés en mesure de retirer cela, je n'en ai aucune adidas zx flux pas cher pour homme idée, néanmoins, il semble que Nike crée beaucoup de problèmes faisables que dix ans dans le passé auraient été indubitablement irréalisables. Il y a beaucoup de magasins qui prospèrent encore dans la rue, malgré l'économie qui oblige certaines entreprises à fermer, laissant le magasin vide. Pourtant, la période de récupération n'était pas beaucoup comme les gens jugés grandement. Organisation a également quelques collections uniques, Air chaussures running nike air pegasus+ 28 femme Max, Nike Pro, Nike +, Mercurial et ainsi de suite.